Senate Republicans are filling our courts with ultra-conservative judges who have the power to roll back decades of hard-fought progress. Their rulings could endanger women’s rights, workplace protections, and much more. We must protect our courts and take back the Senate. Nate Silver's FiveThirtyEight says control of the Senate is up for grabs – Democrats CAN flip the Senate. Are you ready to help us take back the Senate? Happy #EarthDay! RT if you agree climate change is real and we must address it. We only have one earth.
.@peopleforben is running for U.S. Senate! 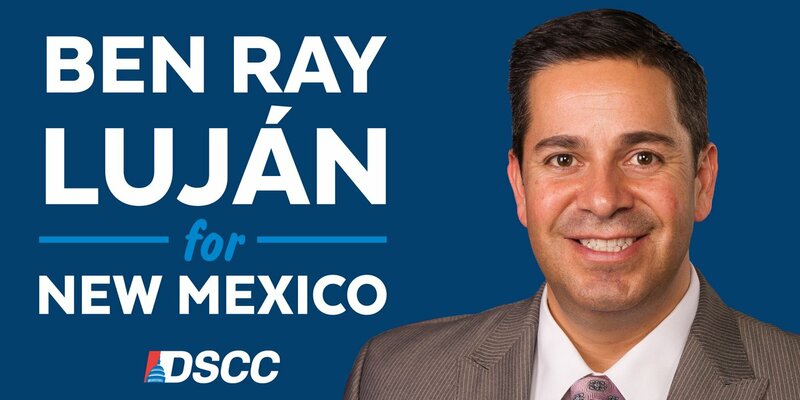 He’s fighting for all New Mexicans and is focused on lowering prescription drug prices and health care costs, restoring voting rights and equal rights, protecting our environment, and much more. RT if want to keep this#NMSen seat blue! If we can flip TWO of these seats, Democrats can take back the Senate. Pitch in now to help Democrats win! The National Archives can't release Brett Kavanaugh's full record until late October, but Mitch McConnell wants to hold a vote on the Supreme Court nominee by October 1st. Add your name if you believe the American public deserves to see Kavanaugh's FULL RECORD. We've heard from 71,114+ Americans who want Trump to stop throwing a tantrum and reopen the government. Add your name if you agree! Mitch McConnell blocked President Obama's Supreme Court nominee, and now he's not following his own #McConnellRule. Donate in Mitch's name to help Senate Democrats stop Trump's takeover of the Supreme Court! Want to demote Mitch McConnell and stop more votes like the one for Brett Kavanaugh? Pitch in to defend, Heidi, Claire, and Mazie! Mitch McConnell refused to consider Obama's nominee, and now he's in a rush to help Trump takes over the Supreme Court. Add your name if you think McConnell should follow his own rules! Are you one of the 54% of Americans that want to put Democrats in charge of Congress? Donate $10 to help Democrats flip the Senate! Mitch McConnell just announced: If Republicans win in November, he's "serious" about coming after programs like Social Security, Medicaid, and Medicare. Pitch in to help Democrats flip the Senate and save these critical programs!